What do these two women have in common? They came along to DIWC and found classes where they could improve on their English, which then opened up job opportunities for each of them and helped to improve on their wellbeing. They share their stories here. Then: When Ahu came to Dundee from Turkey, she knew barely a word of English. She had health problems and was caring for a young child while her husband worked. She was isolated and lacked confidence and self-esteem. She joined DIWC’s cooking class where she developed a talent for demonstrating her own recipes. 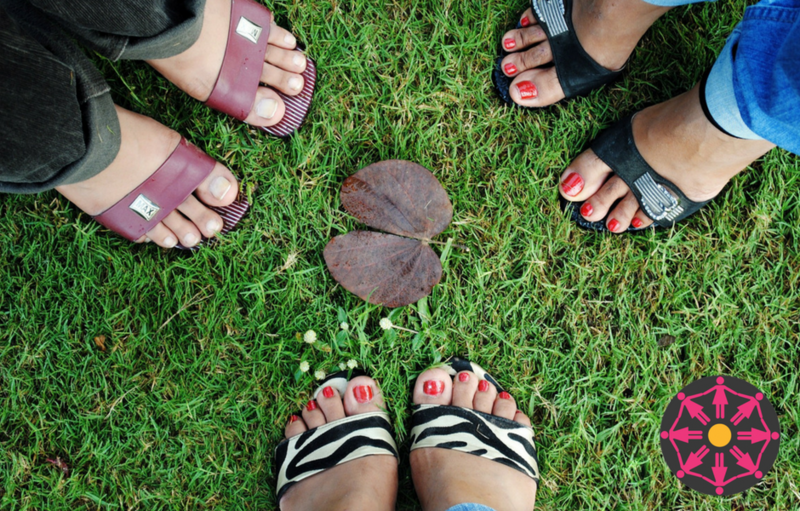 Meeting like-minded women gave her the confidence to try new things and she started English classes. Now: With each success, Ahu has become more motivated to try new things. She studied at DIWC for her Driving Theory test and has since passed her driving test. She studies hard, whilst caring for two children, and is one of the first women at DIWC to pass all seven modules of ECDL. By working hard and embracing all that DIWC offers, Ahu has managed to improve her social life, mental well-being, education and job prospects. She is truly inspirational. Then: Mariam moved to the UK from Mali with her husband. She spoke no English and he brought her to DIWC to learn. Mariam joined English classes and social groups and felt happy to be part of a community, meeting people from all around the world. As her English improved, her confidence grew and she got a job working in a care home. Mariam continued to attend the centre, and she had two children whom she brought to Rise and Shine crèche. In-between: Mariam completed an employability course in customer service at DIWC and did a placement on DIWC’s reception. Keen to gain more experience, she continued to volunteer in this role whilst expecting her third child and studying for her Driving Theory test. Just three months after the birth of her third child, Mariam has returned to DIWC to continue to study the ECDL course. Now: Mariam has passed her Driving Test and drives confidently every day. 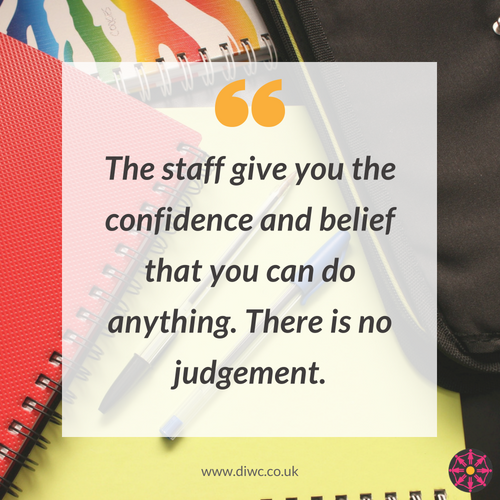 She has passed the ECDL course and with this experience and qualification, she has been working at DIWC for over two years as a receptionist.